We are delighted to inform you about the new changes recently rolled out in our PMS based on feedback from our customers. 1. Daily Rate Grid: The feature allows changing rates on a daily basis, based on occupancy percentage. It is now available in a tabular design that lets you manage the complex rates on a simple spreadsheet format. Hoteliers can add packages for up till a year. The rates can be updated by simply clicking on the particular rate in the grid or by the bulk upload feature. With the Relational Rate feature, you can also enter a fixed percentage or amount and all the rates will get updated automatically in the same percentage/amount. – Child Modifier: In order to manage more complex rates where a child is included, Hotelogix has now introduced Child Modifier. This feature will allow the hotelier to give discounts or check-in the child as complimentary. – Fall Back Calculation: This helps in a situation when, while adding a child, the total rate decreases in a reservation, then the rate automatically falls back to the relevant Adult only Rate. 2. Multiple Languages: Front Desk can now be accessed in the language of your choice. The latest addition to our list of languages includes Russian. All these languages are available as per the user preference – English, Arabic, French, German, Portuguese, Spanish, Thai, Russian and Hindi. – Multi-Lingual Reporting: Enjoy the benefits of viewing the reports in the primary language you choose. – VIP Guest Report: Hotels can now use this report to see all the VIP guests (single or group reservation) based on the arrivals and departures. The report can be exported in various formats. – History & Forecast Report: The report gives an estimate on the room revenue (with inclusions), expected average daily rate and average rate that can be generated by hoteliers up to a month. – Night Audit Counter Report: This report has been enhanced to capture all counter activities in-between the two Night Audits. This also includes counters closed while performing Night Audit and those closed from front desk. 4. Allotment: Now, you don’t need to go to individual booking channels to update policy, amenities and booking details – it can all be done from your Admin console. With this feature, you can view your hotel exactly how it is being displayed on the third party sites like Expedia, TripAdvisor and Booking.com. Management of allotment and rules for rates being sent to the Channel Manager can be viewed from a single interface of the allotment matrix. To keep it simple, we have enabled color codes to identify the sync status (updating/not synced/synced) of allotments and restrictions. 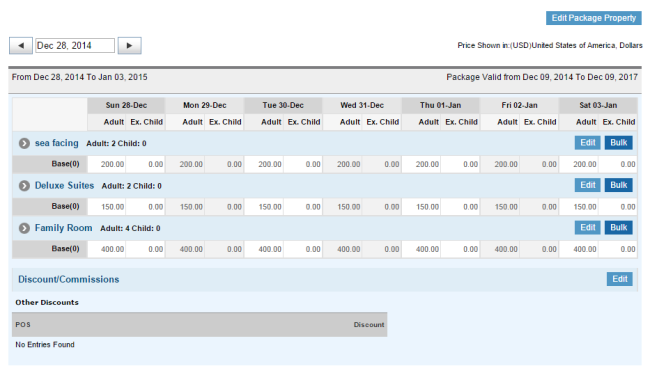 Hoteliers can also view the rates published to the Channel Managers for each room type. Channel Manager rates can be set up for season attributes too. 5. Housekeeping Audit Trailed: This addition will help hoteliers keep track of any changes made to the housekeeping status from the front desk or housekeeping console. The new features added to our products are designed to give our customers more control over their hotel business. There’s more in the pipeline. We’d love your feedback on what we can do next to serve you better. Have you tried Hotelogix’s Freemium – Free Forever Cloud PMS yet? View Details Now.